Off-road vehicles fleets operate in harsh environments. This includes vehicles like mining or military. A fire inside the engine compartment can cause extensive damage and downtime, therefore immediate detection and suppression is critical to limit the damage and protect the operators lives. 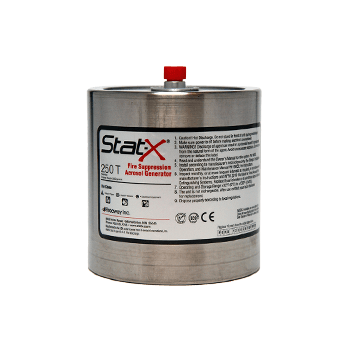 Stat-X® fire suppression is a critical safety system to ensure operators and equipment remain safe. Our systems can be installed directly inside the engine compartment, close to the high-risk area. Our systems are easily to retrofit on your fleet. This 24/7 automatic system reduces the risk as the fire can happen at any time including remote locations. Once a fire is detected, the fire is quickly suppressed minimizing damage and downtime.